Finally, a good news coming from Disney. I was waiting for the return of The Clone Wars for years. This is a great news that will save the year for all Star Wars fans. The Clone Wars was a 3D CGI animated television series and the best (to not say the only) good source about Star Wars after the prequels and before Disney take control over Lucasfilm. It is set in the Star Wars galaxy during the three years between the prequel films Attack of the Clones and Revenge of the Sith, the same time period as the previous 2D 2003 TV series Star Wars: Clone Wars. Each episode has a running time of 22 minutes to fill a half-hour time slot. The series was launched with an animated feature film, which was released in theaters on August 15, 2008. The series debuted on Cartoon Network on October 3, 2008, and became an entry point into Star Wars for an entire generation, following fan-favorites like Anakin Skywalker, Obi-Wan Kenobi, and Padmé Amidala, while introducing major new characters like Jedi Padawan Ahsoka Tano and Captain Rex. Its stories were complex, its heroes and villains were perfectly imperfect, and its look was captivatingly beautiful. It became a multi-Emmy winner and is now regarded as essential Star Wars. But it was never finished because on March 11, 2013, Lucasfilm announced that Star Wars: The Clone Wars would be “winding down”… The Clone Wars ended after five broadcast seasons – just as Ahsoka left the Jedi Order. A few post-Season Five episodes were later released as “The Lost Missions,” but the story wasn’t over. Since then fans were waiting for the return of The Clone Wars, and got frustrated when none information about the series came from Disney. Until now. The wait is over. 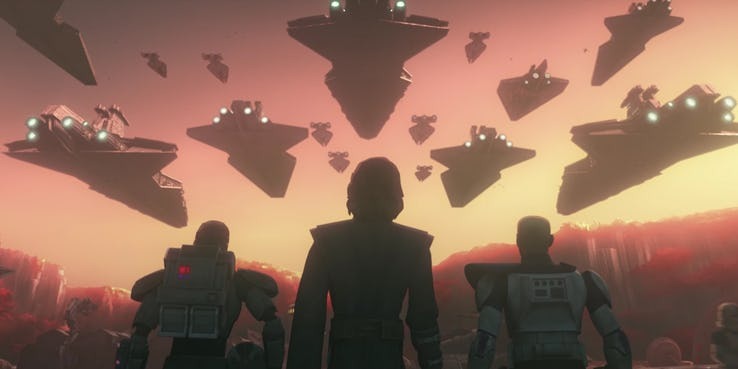 On July 19, 2018, Lucasfilm announced at San Diego Comic-Con that The Clone Wars would be revived with 12 new episodes to be released on Disney’s direct-to-consumer streaming service. At SDCC 2018, Lucasfilm unveiled a first glimpse at a surprise new project – a Star Wars: The Clone Wars revival. The audience at San Diego believed they were just attending a 10-year-anniversary celebration. Instead, they were on hand to hear Dave Filoni announce the next Star Wars project, and reveal that The Clone Wars would be returning exclusively to the Disney streaming service in 2019. Lucasfilm released what appears to be a trailer, although it’s important to note that Filoni insisted the project is currently in its early stages. That means this could essentially be a “sampler,” produced by the animation team before they actually work on the finished product; consequently, we should be wary of trying to deduce specific story beats from this. At the same time, though, the designs and concepts in play do still give us an idea of what to expect, and everything has been included for a reason. 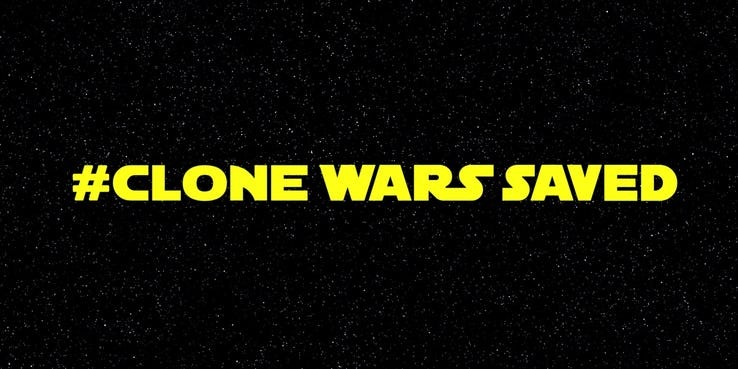 The teaser was released at the 10-year anniversary panel, and so it’s fitting that the first sequence is heavily nostalgic: it feels almost like a memorial to Star Wars: The Clone Wars, a celebration of everything the show was; dedicated to its original characters and demonstrating its overarching themes. 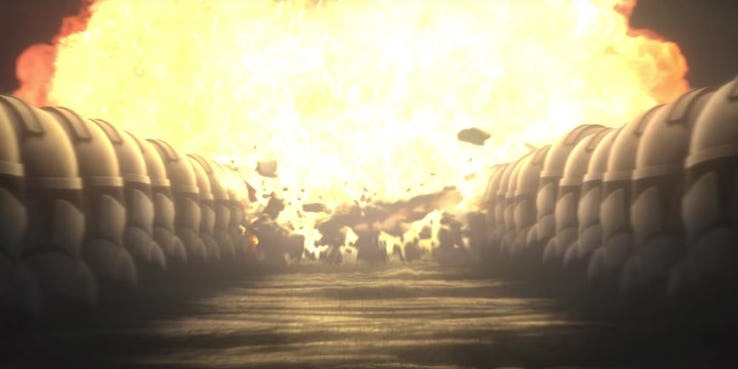 This is done by showing the 501st marching away into the smoke – notably leaving their helmets behind – with voiceovers of dialogue from previous seasons. The first batch of dialogue is all lifted from moments of peace, when characters were introducing themselves or interacting with one another. It’s perfectly designed to remind viewers of the Clone Troopers they’d come to know and love over the course of The Clone Wars. But the scenes change in a wonderfully stylish and atmospheric way, with a row of helmets that gradually transforms from those early designs seen in Attack of the Clones to the near-Stormtrooper take of Revenge of the Sith. The focus is on the evolution of the Clone Troopers, on how they became the foundation upon which the Empire itself was built. At the beginning, designs are highly individualized, with each helmet distinctive and unique. By the end, they’re identical, emphasizing the crushing conformity of the soon-to-be Empire. This sequence comes to its inevitable close with the voiceovers blending into one another until they’re overwhelmed by cries of horror and pain. A rocket strikes the ground, and a wave of fire sweeps across the helmets, obliterating everything in its path. It’s a beautifully symbolic way of representing the cost of war, of reminding viewers that every single one of these Clone Troopers was created to be a soldier who died on the front lines – not to be a person. Where most of the trailer stresses continuity with previous seasons of Star Wars: The Clone Wars, the music choice is rather incongruous; it’s actually the theme from trailers for Star Wars: The Force Awakens. It may be that Lucasfilm is choosing to use this music in order to reinforce the new Star Wars brand; it may also serve as a subtle cue that The Clone Wars‘ revival will be used to bind the trilogies together, and that plot threads will be planted that will only grow to fruition in the Sequel Trilogy. Or, it may simply be that it’s highly evocative music. Although Star Wars: The Clone Wars was successful, in March 2013 Lucasfilm announced that the series would be winding down. 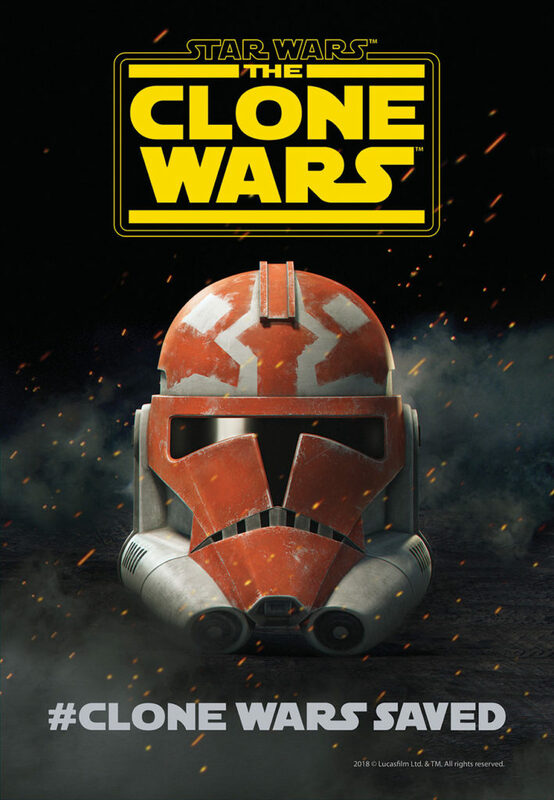 Season 6 episodes – called “The Lost Missions” – were made available for streaming on Netflix, and The Clone Wars Legacy project began adapting some of the unused concepts into a wide range of other mediums. Several key stories were released, some as unfinished animations that can be viewed online, others as novels or comics. 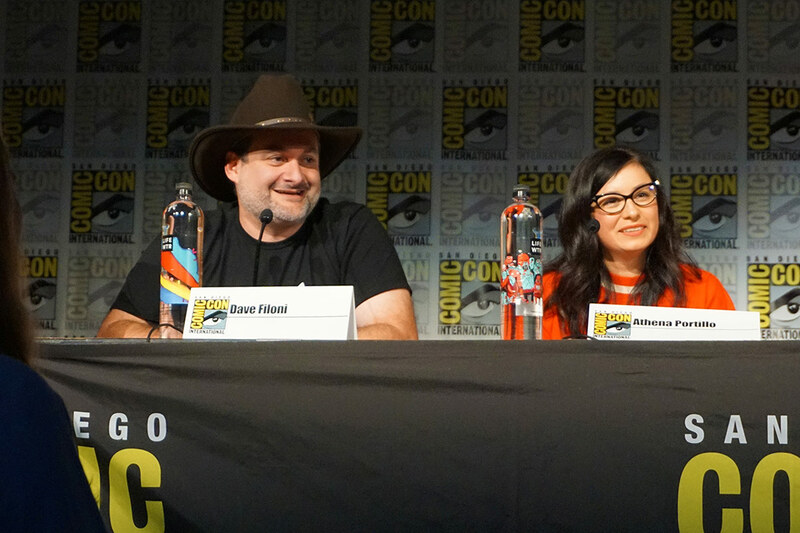 Dave Filoni, who seems to dislike loose ends, did his best to tie many of them together in episodes of Star Wars Rebels. Still, it was hardly a satisfactory close to a popular and much-loved Star Wars series. 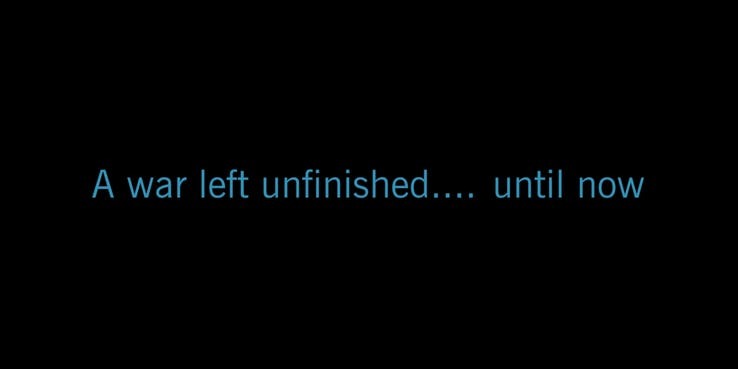 Thankfully, this line promises that Lucasfilm will actually finish the story of the Clone Wars, leading us up to Order 66 – and presumably beyond. The teaser then moves to a long shot of a gunship arriving at a Republic outpost. Again, notice the symbolism; it’s dusk, the time when the light dies. At first, it seems as though the outpost is relatively deserted, but as this sequence continues we’ll see that this is the staging post for a major Republic attack upon the Confederacy – likely the Outer Rim Sieges. 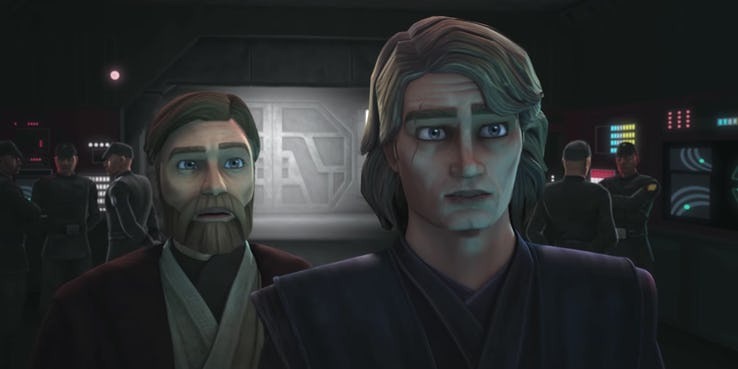 We only catch a brief glimpse of Anakin and Obi-Wan, but it’s clear the animation team have switched up the design a little for the return of The Clone Wars; the models are notably older, closer to the looks the characters have in Revenge of the Sith. Everything in this teaser reminds viewers how close it is to the tragic end of the Clone Wars. 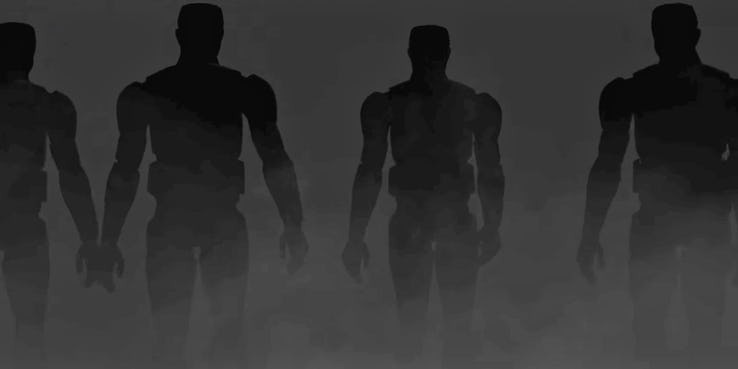 Alongside Anakin and Rex at the base is a member of Clone Force 99, the so-called “Bad Batch,” a ragtag group of Clone Troopers. 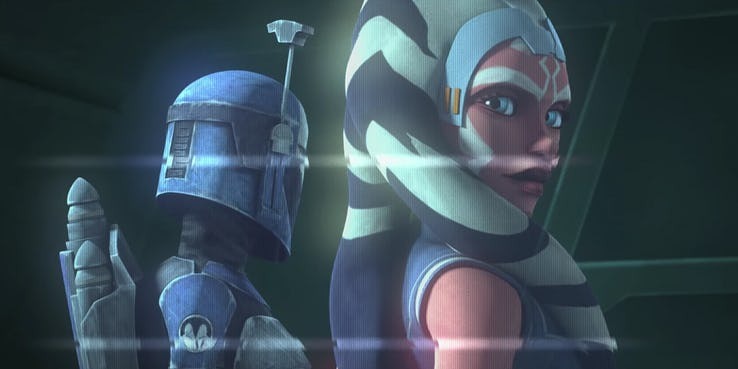 Lucasfilm’s original plans for Star Wars: The Clone Wars season 7 would have seen the Bad Batch star in the very first episode, tasked to retrieve the captured Echo from enemy hands. We don’t know how true this series will be to Dave Filoni’s original plans, so they could have a different role here, but the trailer suggests they will have a key role to play. This shot concludes on the striking image of Republic Star Destroyers ready for battle, most likely the so-called “Outer Rim Sieges.” This was a final military push for the Republic, with their forces attacking Confederacy planets including Saleucami, Mygeeto, and Felucia. Ironically, the push left the Republic exposed. With the Republic’s military might committed to the Outer Rim, the Core Worlds were vulnerable. That left Dooku with an opportunity to attack Coruscant directly, leading to the events of Revenge of the Sith. The Republic of Star Wars: The Clone Wars‘ revival seems only a short step away from becoming the Empire. That’s particularly visible in this scene, where the officers are wearing uniforms that are Imperial in design. The biggest reveal is saved for last: Anakin’s disgraced apprentice Ahsoka is back. The original plans for season 7 saw Ahsoka discover the location of Darth Maul, who had based himself on Mandalore. With Anakin and Obi-Wan otherwise engaged, Ahsoka would be forced to lead the Siege of Mandalore, and wound up taking on the former Sith in a lightsaber duel. This particular aspect of Star Wars: The Clone Wars has already been absorbed into the Star Wars canon; the first scenes of E.K. Johnston’s young-adult novel Ahsoka are lifted from it. 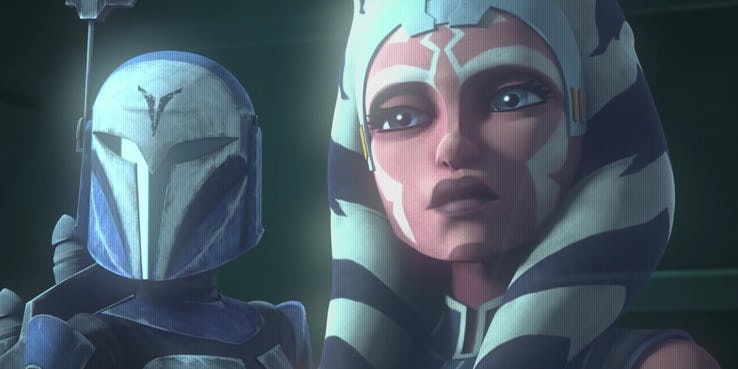 Regardless of how much The Clone Wars ultimately shows of this, this isn’t the end of Ahsoka: she returned in Star Wars Rebels and, from that show’s finale, lived past the original trilogy. Alongside Ahsoka is Bo-Katan Kryze, a member of the Mandalorian Death Watch terrorist group. Maul’s conquest of Mandalore forced the Republic into an uneasy alliance with an old enemy, and Bo-Katan and the Death Watch played a crucial role during the Siege of Mandalore. It certainly looks as though this part of the series will honor Dave Filoni’s original plans. The revival of Star Wars: The Clone Wars is clearly designed to be the end of the story, running right up to the beginning of Revenge of the Sith. It even seems likely some events will happen at the same time; the Siege of Mandalore, for example, had only just come to an end when Palpatine issued Order 66. Going by everything in the trailer – and the fact Anakin and Obi-Wan are now in their Episode III clothing – suggests we’re going to connect right up.